Entering fashion history in 1993 with his notorious ‘grunge’ collection for Perry Ellis, Marc Jacobs would soon be hailed by American Vogue as ‘the dauphin of grungy, understated cool’. 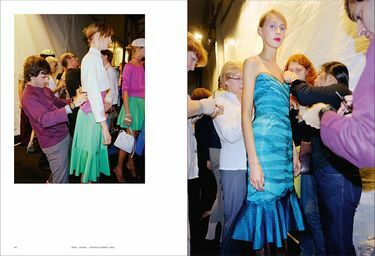 He quickly rose to become one of the most influential designers of his generation, both at the helm of his own label and as creative director of Louis Vuitton from 1998 to 2014. Known for his collaborations with prominent artists, musicians and muses – from Stephen Sprouse to Sonic Youth, Debbie Harry, Sofia Coppola and Chloe Sevigny, Marc Jacobs ‘changed what it means to be a fashion designer, just as once upon a time Andy Warhol changed what it meant to be an artist’, according to fashion historian Valerie Steele. 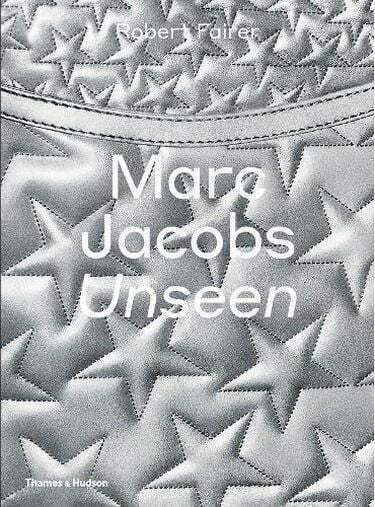 Opening with an essay on the designer’s work, Marc Jacobs: Unseen unfolds chronologically, revisiting the designer’s most iconic creations and revealing previously unseen behind-the-scenes moments of models, hairdressers, stylists, make-up artists and Marc Jacobs himself at their most creative. Robert Fairer’s stunning and highenergy photographs capture the youth, glamour and spirit that defined Jacobs’s shows.